When should I book? It is best to book your session about 4-6 weeks before your baby is due. As babies don't always arrive on time, a date and time will be 'pencilled in', you then confirming this date as soon as your baby is born. Whether your baby is late or early, the date can be rescheduled. The ideal time to photograph your baby is when s/he is less than 10 days of age. At this age they are still quite sleepy and generally happy to be posed. How much time should I allow? Newborn photography can take up to 3 hours depending on how long it takes for your baby to settle and be in a deep sleep. If you feed your baby on arrival, s/he will then be content and more likely to sleep. When will I see the photographs? We will book a further date and time for a viewing session when you will see a selection of fully edited photographs. 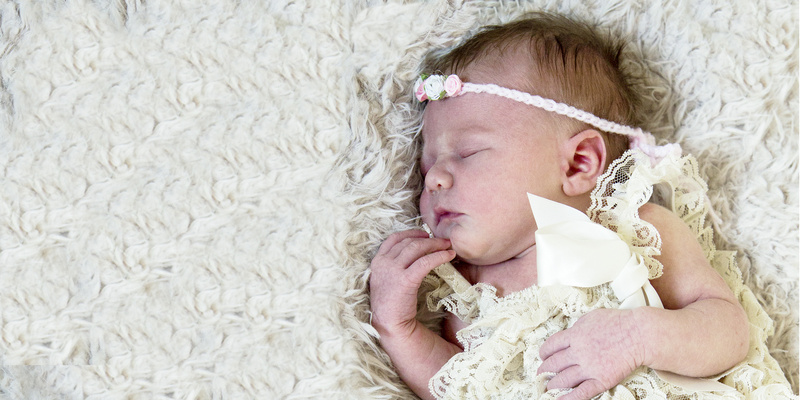 This will normally be arranged within 7 days of your newborn photography session. The photographs in the gallery of beautiful Baby Elsie, were taken when she was nearly two days old. Booking - you can book by telephone, email or by using the contact form on this website.